The first of the bees are out and the the cherry trees are blooming! All the trees look healthy and even the Early Burlat variety that hasn't had much yield in the past seems to have lots of blossoms. The Lapins, Angela's, Rainier and Sweethearts are doing equally well. On the weekend, we sprayed the trees with Serenade Max which is an organic spray. We hope it will minimise the amount of blossom rot caused by the constant rain and high humidity of Victoria. We will spray again at full bloom and possibly just before shuck fall. In the meantime, we will be weeding the orchard, putting organic coffee sacks over the rows as a weed barrier and removing the metal support poles beside the trees. Cherry Hill Orchard is located in beautiful Victoria, British Columbia, Canada. 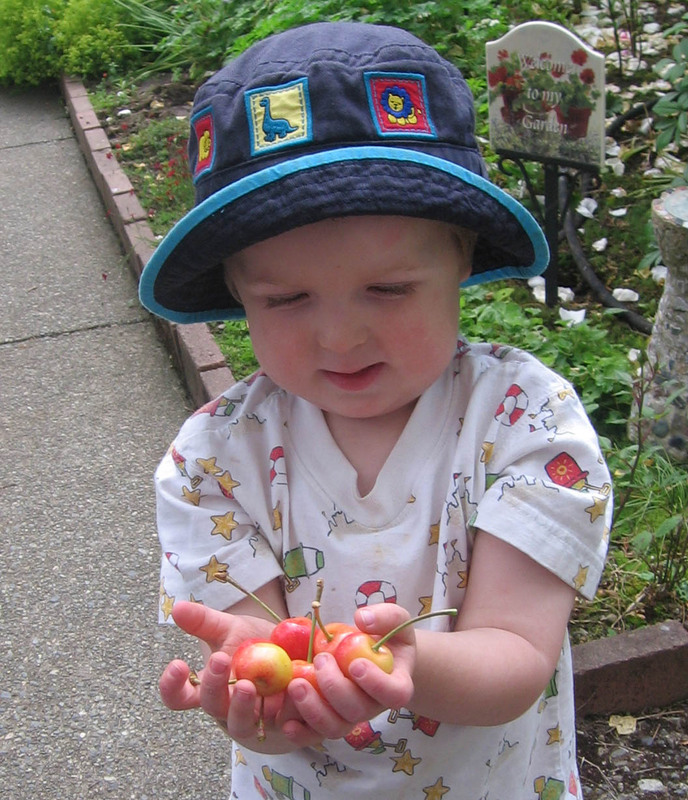 We are a small, hobby-farm operation specializing in sweet cherry production. We grow five varieties that produce from early July through mid-August: Early Burlat, Angela, Rainer, Lapin and Sweetheart. Although it is a challenge to grow sweet cherries in this climate, we strive to produce high quality cherries without the use of pesticides, fungicides or other chemical products. Our cherries are "au natural" just the way God intended ... plump, crisp and full of sweetness. 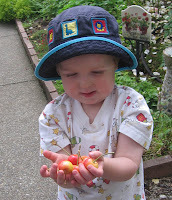 You haven't experienced real cherry taste until you've sampled a fully ripe cherry fresh from the tree. Where can you get these tastey morsels? Call us to place an order or find our cherries at specialty stores that carry the finest in local produce. Blossoms are starting to open. Hoping the bees are buzzing! Copyright 2012. Cherry Hill Orchard. Picture Window theme. Powered by Blogger.